Caleb Woodard — Spoofed on Portlandia? Oh, this is hysterical. 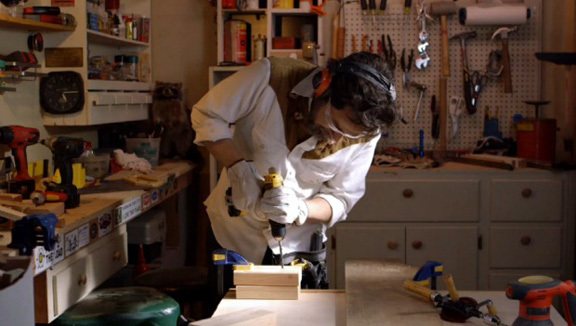 Portlandia, the Independent Film Channel show that spoofs the locavore, handcrafted, crunchy-granola ways of Portland, Ore., appears to have made a reference in Friday night’s show to one of my favorite DC furniture makers, Caleb Woodard. 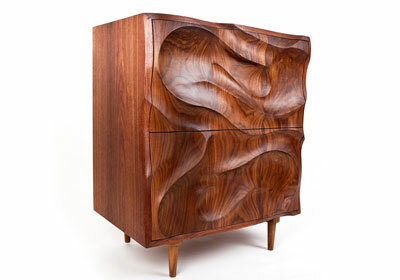 Woodard builds the most beautiful furniture that I will never stop talking about (I have one of his chests by my front door). I first met him and his wife, Melanie, when I did a profile on them for Washington Spaces magazine, and then later included them in a roundup of great home shopping sources in Washingtonian. Here’s the story, and the original photo shot by Lydia Cutter for Spaces was re-used in Washingtonian. Aren’t they cute?? 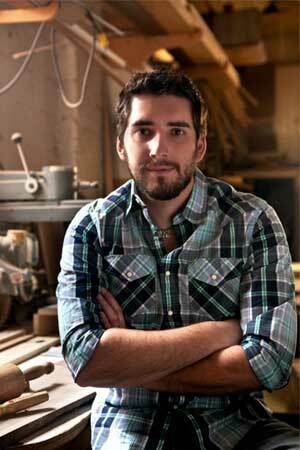 Like “Caleb,” Caleb did indeed quit an office job to make furniture. And Melanie tells me that there was a point where they went several months without any TV. “The similarities are too funny,” Melanie says. He also built their 1-year-old son Ezra’s crib. But no caskets yet. “I asked him recently if he would make my casket. He respectfully declined,” Melanie said. But how do TV producers in Oregon even find out about our local talent? According to DCist, Carrie Brownstein, one of the show’s stars, is a member of a band, Wild Flag, that includes DC native Mary Timony. And, (bad reviews aside) the Portlandia cast did a live show last year at the 9:30 Club. So there you have it — DC design makes national TV! 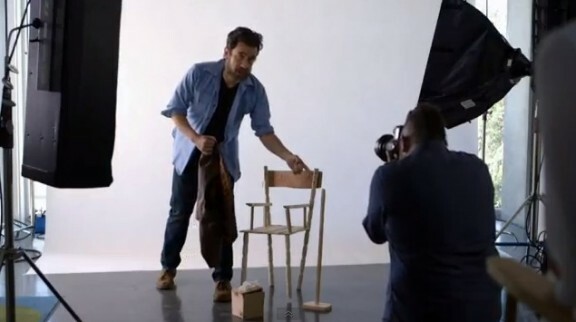 We’re just happy to see more furniture designers represented on television. There are certainly enough programs delving into the lives of detectives, forensic scientists, lawyers, and doctors. Kids today need exposure to more than just these possible career paths. 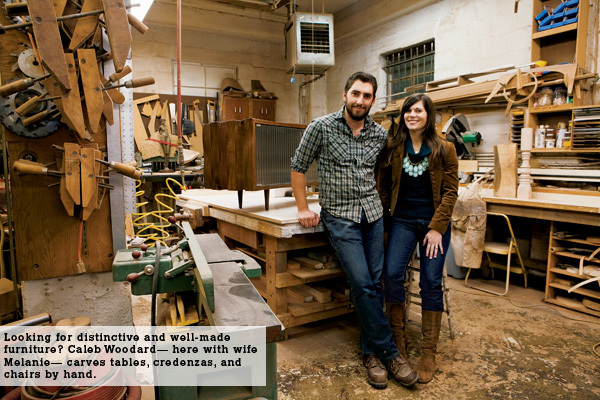 We need to share with them the deeply spiritual and emotionally fulfilling role that is the Fine Furniture Maker. It’s way better than wearing an uncomfortable suit all day, having intense life or death debates with colleagues, or pulling in comfortably high six figure salleries. Gary, I would love to see that book when it’s out, any maybe you’ll sign it for me!